Our client, age 25 and a law student, was returning from an evening drinking with friends. As he was walking home, he decided to stop in 7-11 to get a hot dog. As he was walking out of the store, he bumped into another individual, accidentally dabbing mustard onto the other person’s jacket. Our client apologized profusely according to a witness and got a napkin to wipe off the mustard from the other person. About a minute later, as our client was finishing his hot dog by a trash can outside the store, the other individual walked up to our client and punched him twice in the face. Our client was knocked to the pavement, got up and was knocked down a second time. Our client’s nose bled and he was severely shocked by the violence. Why This Summary Matters: Formal diversion is a good way to resolve a case with a dismissal, especially when one is charged with assault of a police officer as in the case summarized below. We were not optimistic when first explaining this case to the prosecutor, but the mitigating circumstances were sufficiently relevant to allow such a fortunate resolution. He then continued walking home, but he could not stop the bleeding of his nose. He lay down and the bleeding just did not seem to stop. He suspected his drunken state may have affected the clotting, or that he was injured to a degree that medical attention was necessary. He was falling asleep, but his nose would not stop bleeding. Accordingly, he called 911 for medical attention. When police arrived, he explained what had happened. Instead of offering him medical attention, however, the police joked with him and accused him of being drunk in public. They handcuffed him and asked him questions about driving while intoxicated. Our client respectfully answered the questions asked, but explained he had walked to the bar and walked home, too. Our client became frustrated by the police questioning, reminding them that he called for medical attention and not to report any criminal activity. As he was speaking to the police, blood running from his nose (our client could not wipe it because his hands were handcuffed) was accidentally mixed with the air coming from his mouth as he spoke. This caused the blood to land on the police officer, who immediately accused our client of spitting on him. 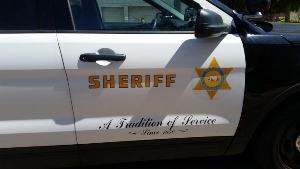 This seemed to make the officer happy, as he now had a new and now bona-fide reason to arrest our client on grounds of felony assault of a police officer (Penal Code § 69). Our client was then charged with misdemeanor assault of a police officer after the prosecutor reviewed the police report. Greg Hill spoke with the City Attorney assigned to the case, explaining the case facts and the mitigating circumstances. While the City Attorney was hesitant to allow such a case to be treated with leniency, she eventually relented by allowing our client to enter a plea bargain to misdemeanor disturbing the peace (Penal Code § 415(1) fighting in public) on terms of formal diversion, wherein he was required to perform a certain amount of community service and attend 26 AA meetings. Our client was happy that he was able to resolve the case for formal diversion, which allows a dismissal upon his completion of the AA classes and community service.